When you first get to the land of Oz you'll first notice all the awesome color of Munchkin Land and all the cool little Munchkins you can meet there. But once you leave that nice, little town you'll be a bit scared by what you see. There flying monkeys and scary trees are found in the forests along with lions, tigers, and bears... oh my! But there is one lion who lives out in the forest that you don't need to be scared of because he is more than likely scared of you. 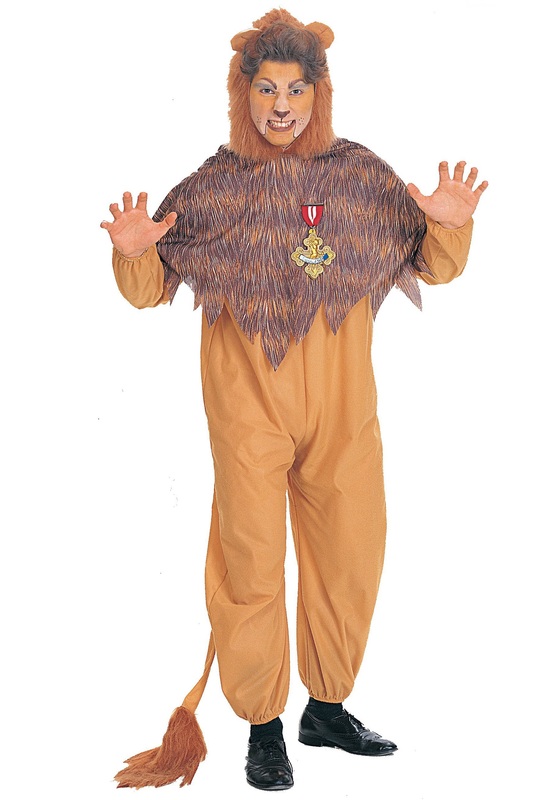 He is known as the Cowardly Lion and he would love just to have a little bit of courage. Well this Halloween you can become the lion in search for a bit of bravery in this great Wizard of Oz costume.